"Coffee. Garden. Coffee. Does a good morning need anything else?" All is quiet here in the Container Butterfly Garden. Most butterfly action is muted, save for a couple of stubborn Monarch butterflies that refuse to migrate towards the coast. That can be solved rather easily, but what that is, I'll share in the next post. Ahhhhhh... coffee and a winter garden: two lovers entwined in an inextricable dance of warmth, cold, sight, sound, taste, aroma, and scent. As the quote above begs the question, does a good morning need anything else on these cold, late season early mornings? Me thinks not! 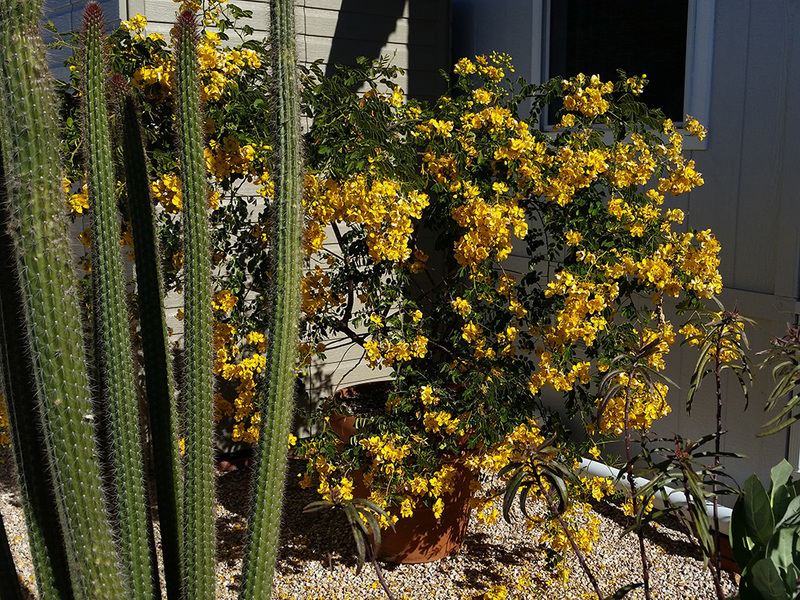 The Cassia bicapsularis, commonly known as Winter Cassia or Christmas Senna, planted to attract and support the various sulfur butterfly species that visit the Container Butterfly Garden, has been going bonkers in growth and blooms. Quite stunning really. I love this plant, as its requirements are few. It gives a lot more than what it receives: kind of like a faithful dog. I did have to butcher it a bit in September, as it was growing like crazy pushing up against the house and a bedroom window, shooting out longer branches to accommodate the forthcoming rain of beautiful yellow blooms. When butchering... errr... 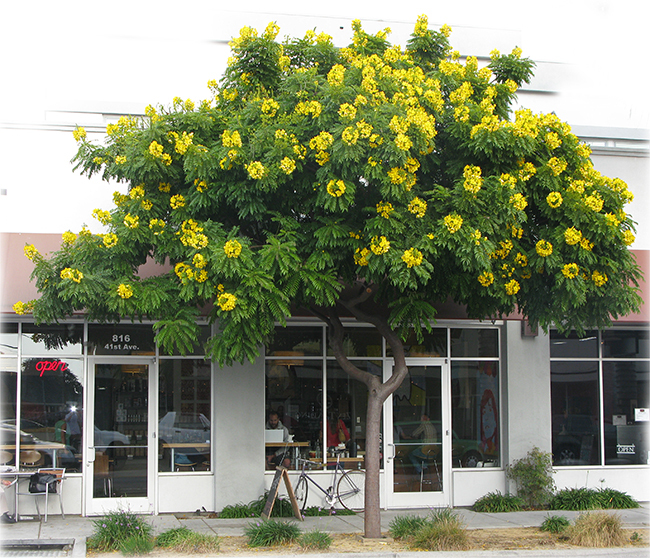 I mean shaping it, I noticed dozens of sulfur chrysalides hanging amongst its branches. I was very careful to not accidentally dump any in the green waste bin. Upon closer inspection, I saw that virtually every chrysalid turned brown, not the bright green or tannish color healthy pupae of this family sport. Peering even closer, there appeared a small, round hole on one side of every chrysalid that signaled the once-present attack of some sort of predator fly or wasp. They inject an egg into the host caterpillar, where it hatches and grows along with its host. After the cat forms a chrysalis, the fly or wasp larvae eat the developing butterfly inside, eventually killing it. Upon pupating, an adult fly or wasp emerges, boring a hole in the side of the now dead chrysalis, ready to do its own thing. As a gardener for the City of Laguna Beach, I planted several C. bicapsularis in one of the parks I took care of, plus another cassia species, Cassia leptophylla. What a sublime pleasure it was to see Cloudless Sulfurs flitting about the C. bicapsularis. The C. leptophylla didn't get many visitors, but they were so young and somewhat anemic. As they mature, the leptophyllas should begin to attract sulfurs too. 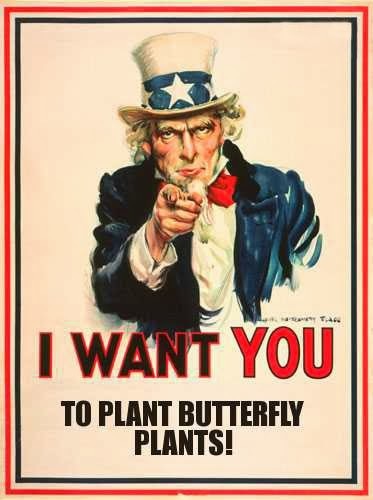 "Public parks are ideal locations for creation of monarch habitats. In most cities and suburban communities, park agencies are often the largest owner of public lands, and most of these lands are permanently protected for conservation. NRPA brings the ability to coordinate the establishment of a network of interconnected parks and other public lands as high quality habitats that are dedicated to monarch and other pollinators. In addition to habitat restoration, parks provide great opportunities for public education and support for citizen science as well as professional research." C. biscapsularis is somewhat common in the SoCal nursery trade, C. leptophylla, not so much. If interested in either of these and they aren't readily available at your favorite garden center, most likely, they will be able to order them for you. There are a number of cassia species available at nurseries, coming in the shape of medium-sized shrubs to trees. 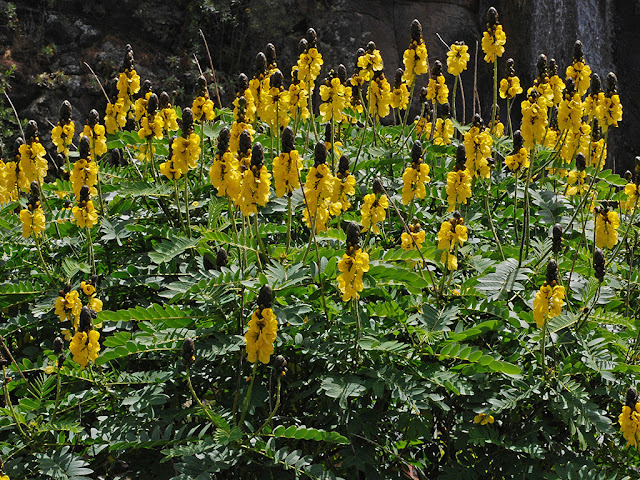 All are easily identifiable as members of the cassia, or senna family. Some are extremely drought tolerant, whereas others like their water. Shrub species can take lots of pruning and abuse. One must be careful to not clip or prune C. bicapsularis too late in the season, or else you'll be sacrificing the beautiful winter blooms it's known for. One species of cassia I know of that is considered a noxious weed in SoCal, and therefor shouldn't be planted unless one is willing to take the extra precautionary time to deadhead spent blooms before they set seed, is Cassia didymobotria, commonly known here as Popcorn Senna (cassia and senna are interchangeable names). It's especially important for those living next to or near greenbelt and open areas to not plant C. didymobotria. For more info on cassias, sulfurs, and parasitic insects, please refer to the Labels and Categories list to the right of this post.